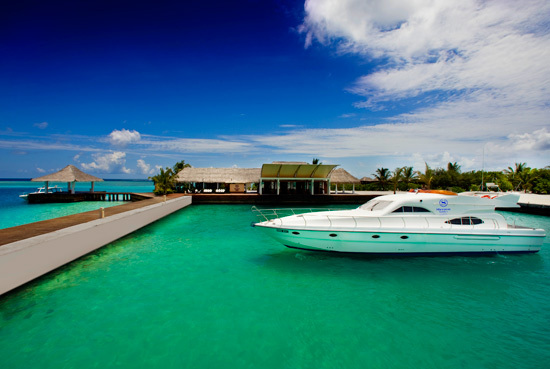 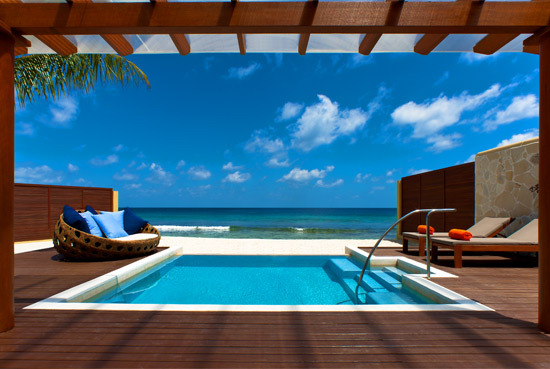 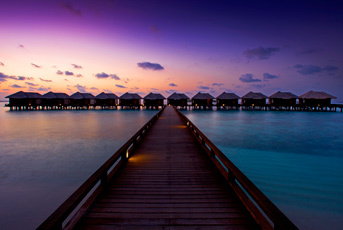 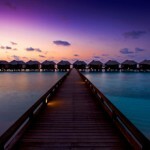 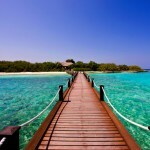 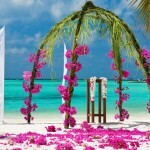 Sheraton Full Moon Resort & Spa is the tropical paradise of your dreams, located just 20 minutes by speedboat from Malé. 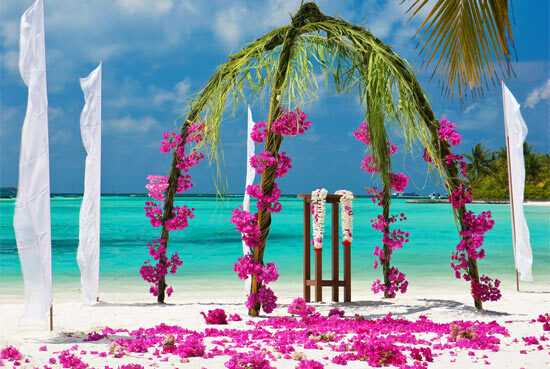 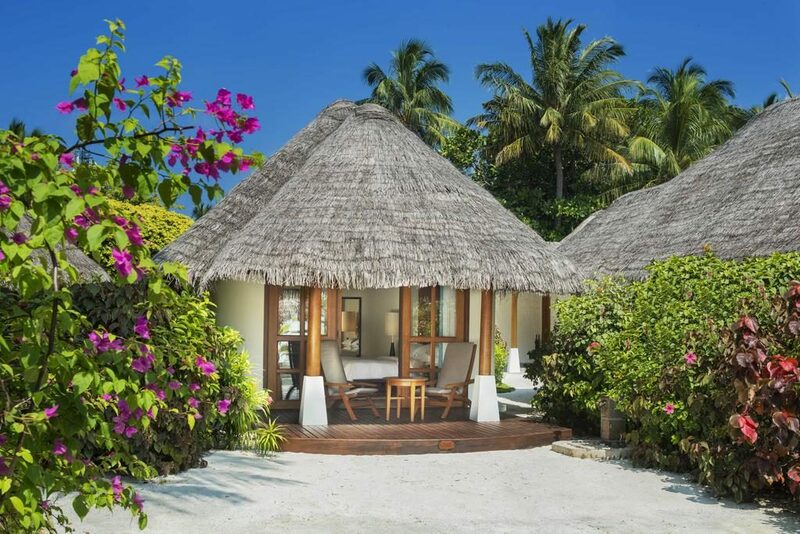 The endless white sandy beaches, the crystal clear lagoon and some of the most luxurious accommodation in the entire Maldives makes for a simply glorious resort. 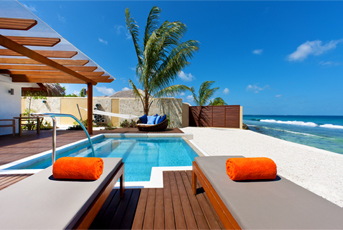 Here you can leave all your worries behind and focus on enjoying your holiday. 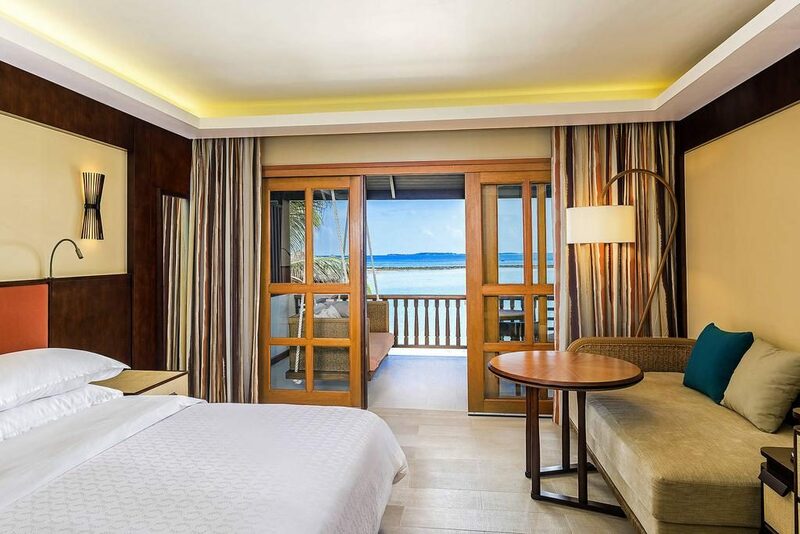 If it is an exotic holiday with extravagant accommodation you are looking for, then Sheraton Full Moon Resort & Spa is the answer. 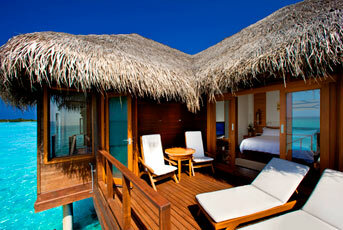 The Deluxe Room offers great value for money for a Maldives holiday. 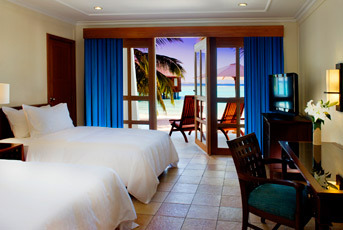 Each Deluxe Room is located within walking distance from the beach. 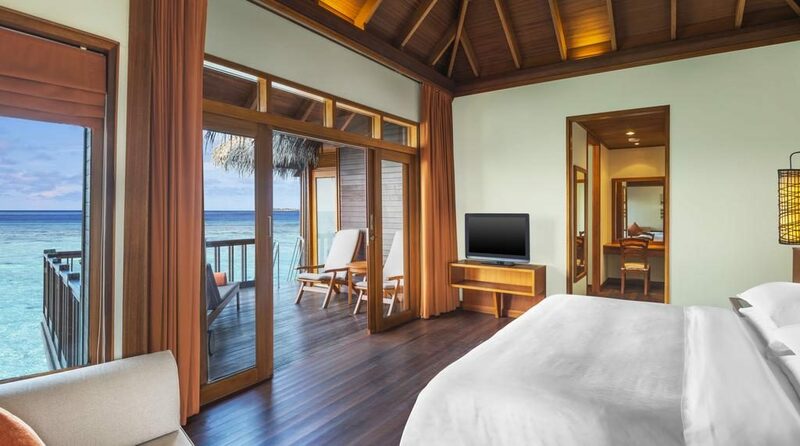 The style is cosy, yet modern, and the interconnecting rooms make this a perfect choice for families. 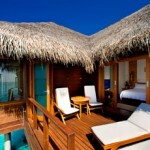 These rooms can also come with two bedrooms. 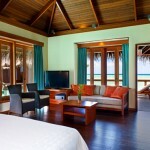 The Deluxe Beachfront Room offers great value for money for a Maldives holiday. 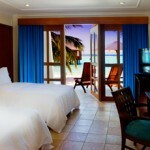 Each Deluxe Room is located on the beach with beach views. 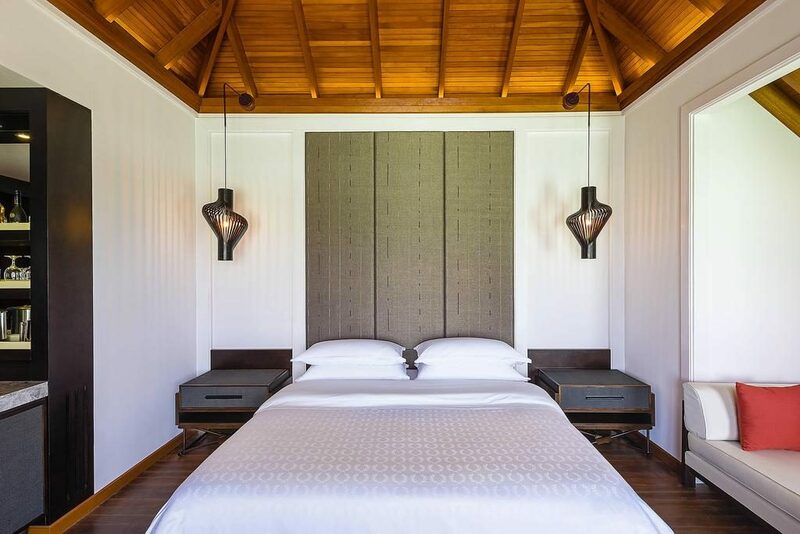 The style is cosy, yet modern, and the interconnecting rooms make this a perfect choice for families. 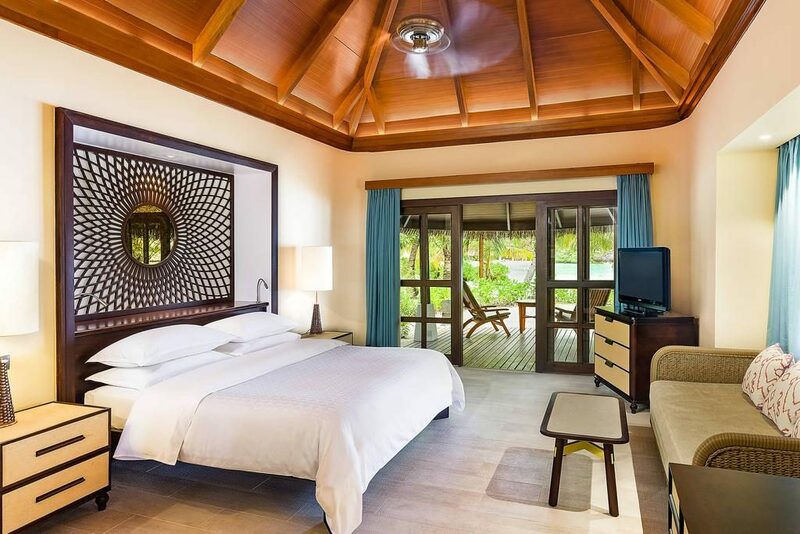 These rooms can also come with two bedrooms. 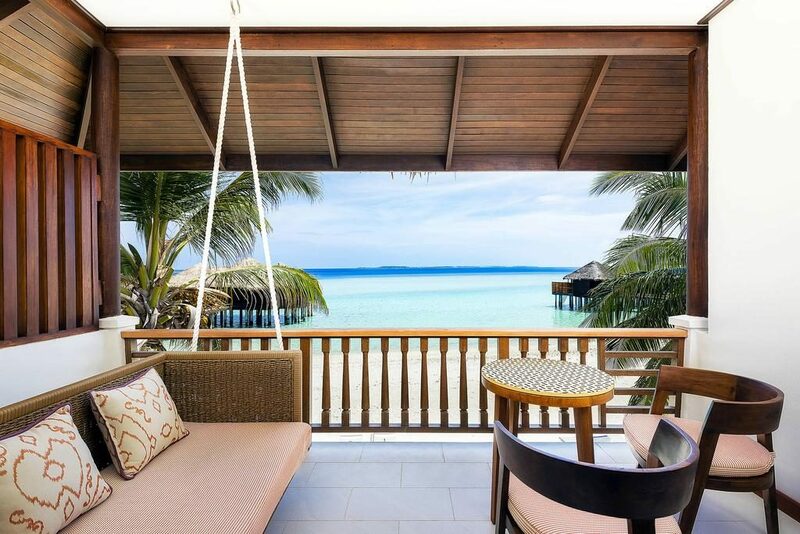 The Island Cottages (76 sqm) offer ample space and have views of the lush gardens, while the Beachfront Cottage (54 sqm) is located right at the beach. 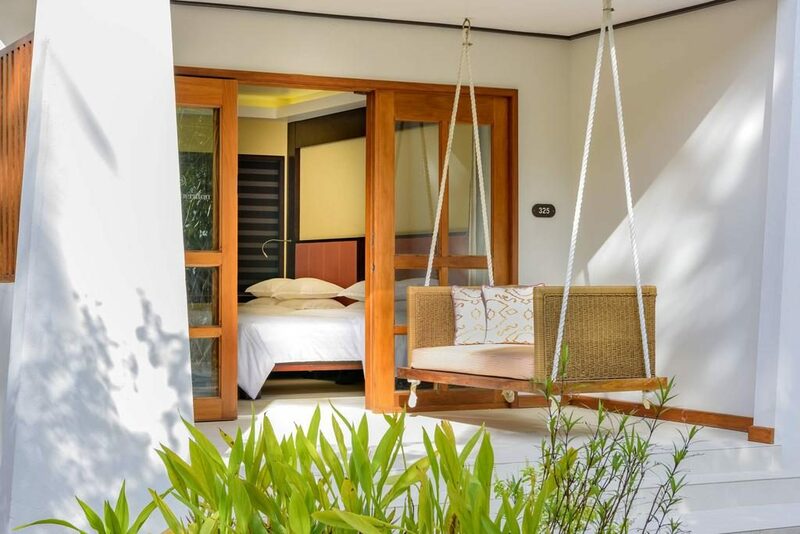 The Island Cottage are delightful and features an open-air rain shower in the garden, as well as a comfortable daybed on the private balcony. 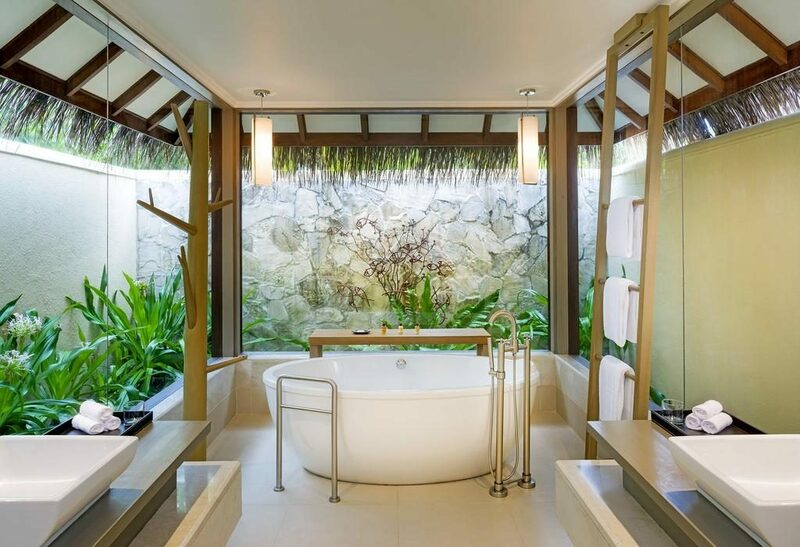 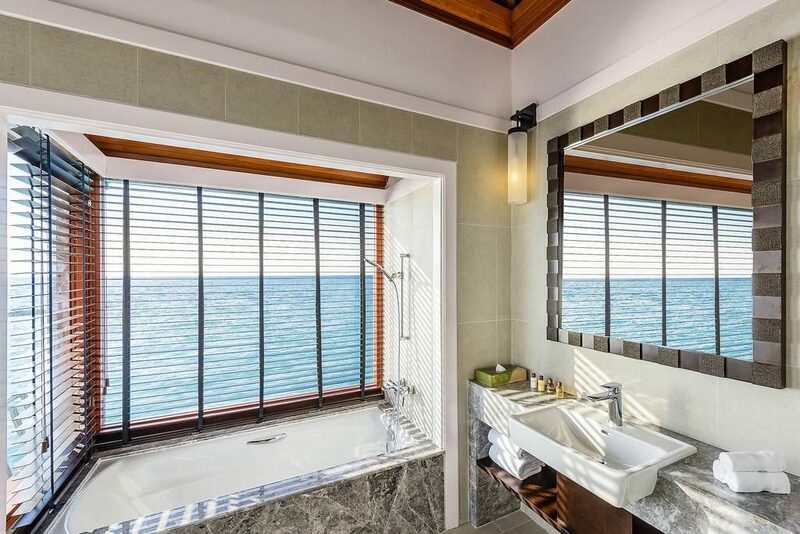 The Beachfront Cottage, which also has an outdoor bathroom with open-air rain shower, features panoramic views of the impressive Indian Ocean. 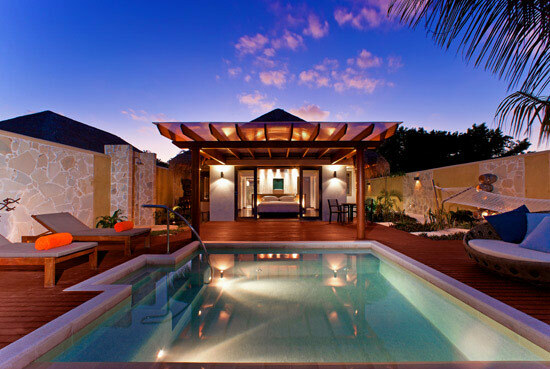 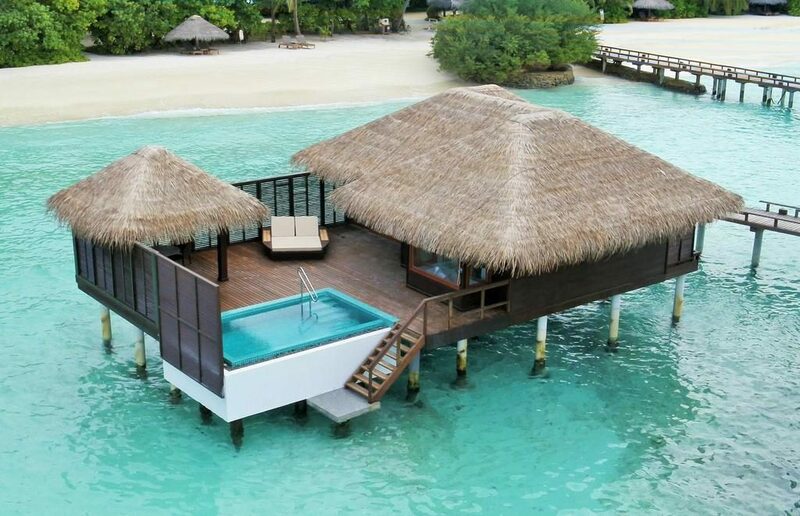 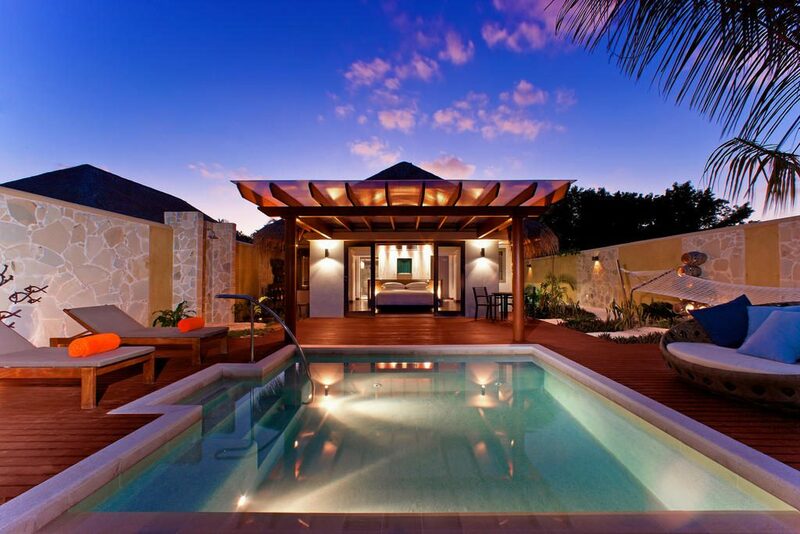 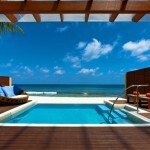 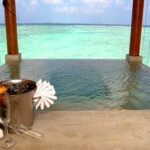 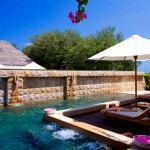 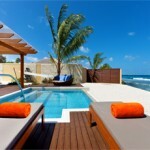 The Water Bungalow (54 sqm) is a truly magnificent accommodation, located just north of the island. 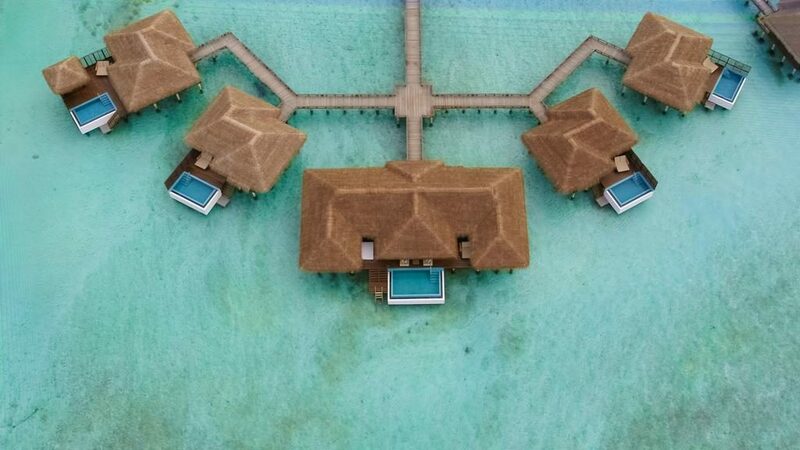 Each Water Bungalow is located directly above the lagoon, providing you with unforgettable views of the Maldives horizon and glistening sea. 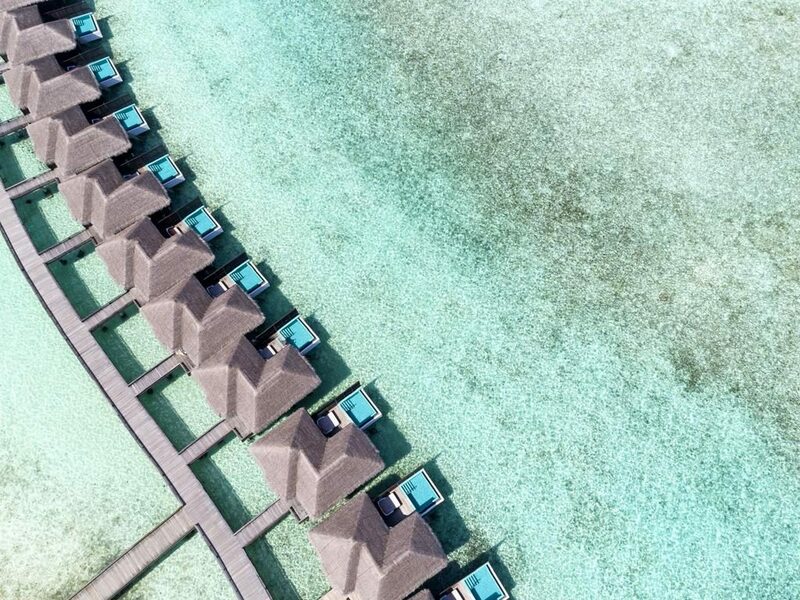 Your own sun terrace has private access to the lagoon, making your Water Bungalow the perfect starting point for your refreshing morning swim. 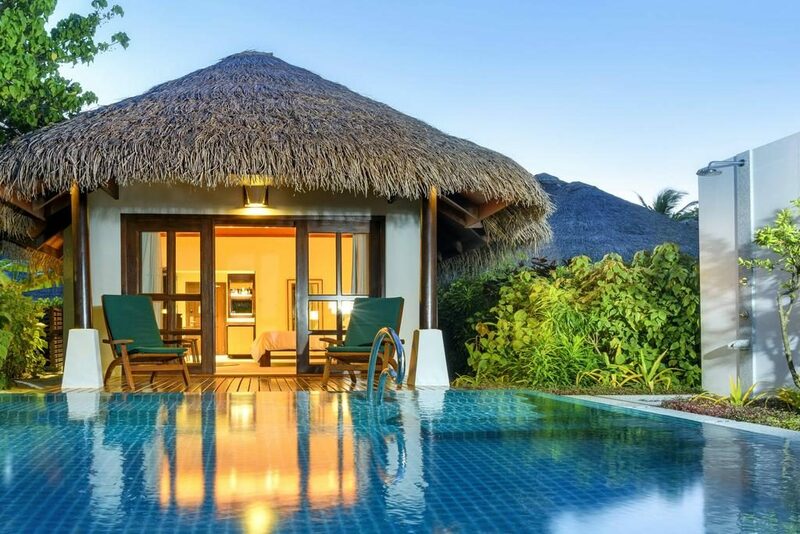 These bungalows are available with or without a private pool. 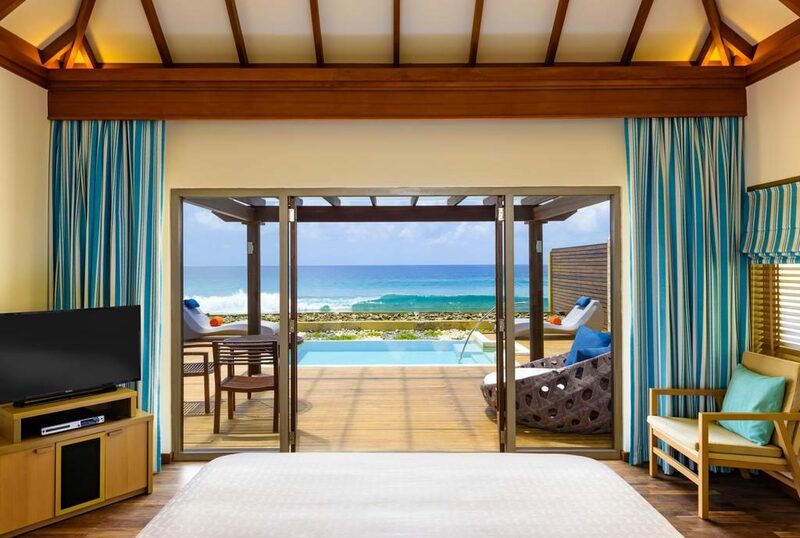 These delightful rooms are located on the edge of the water, with panoramic ocean views from your own private pool with direct pool access. 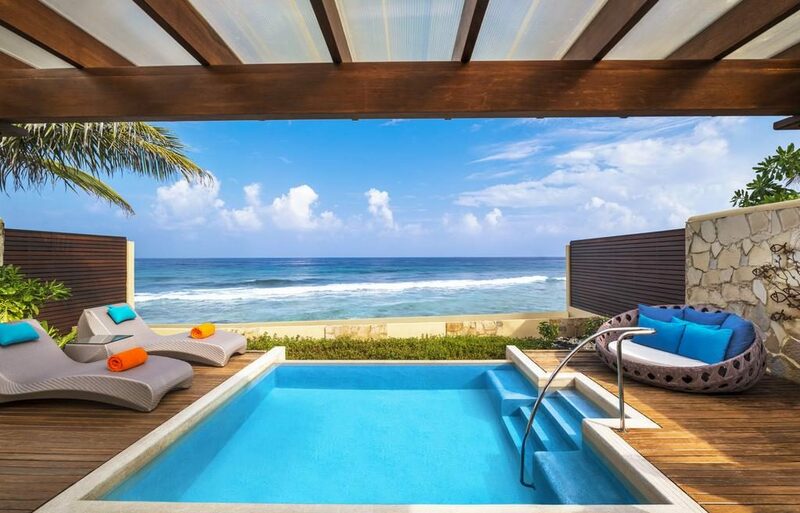 These indulgent villas enjoy privacy in a premium location. 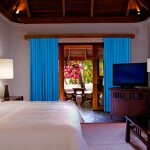 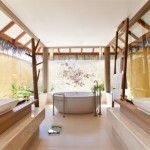 Featuring a plush bedroom, a generous pool with ocean views and a luxury bathroom, this villa is true Maldivian living. 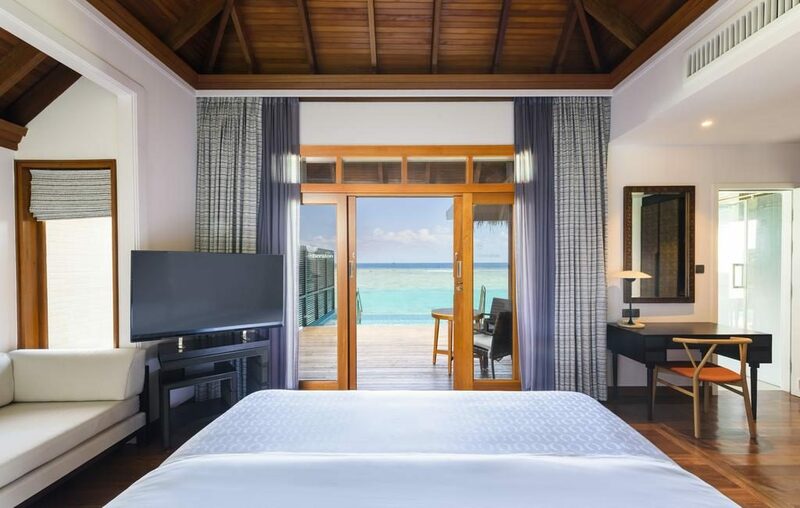 The plethora of facilities and activities you are welcome to make use of at Sheraton Maldives Full Moon Resort & Spa is impressive. 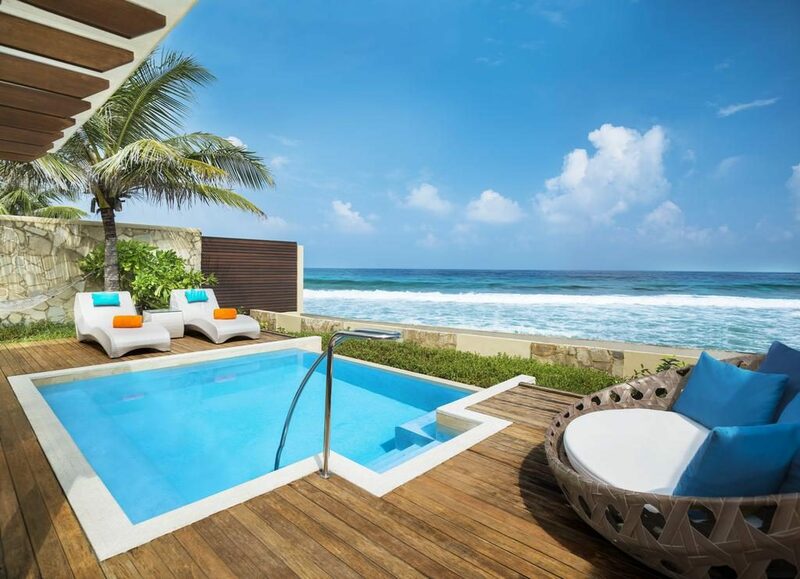 For example, sports can be enjoyed throughout the day and includes tennis, the use of a brilliant fitness centre and swimming in the amazing freshwater pool. 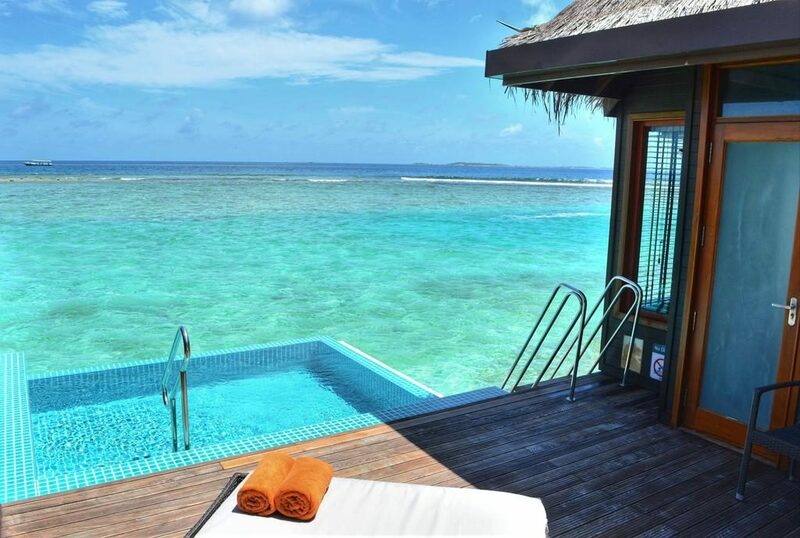 The younger guests can take part in the fun activities offered by the Kids Club, or splash around in the shallow kids’ pool. 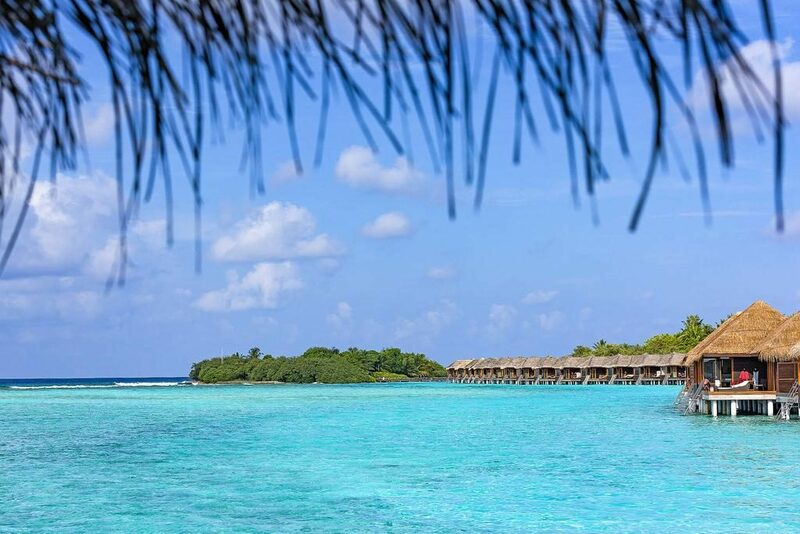 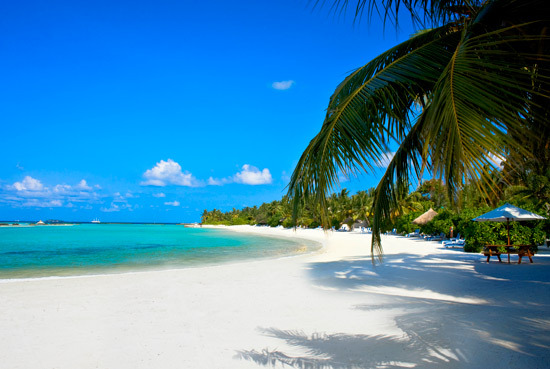 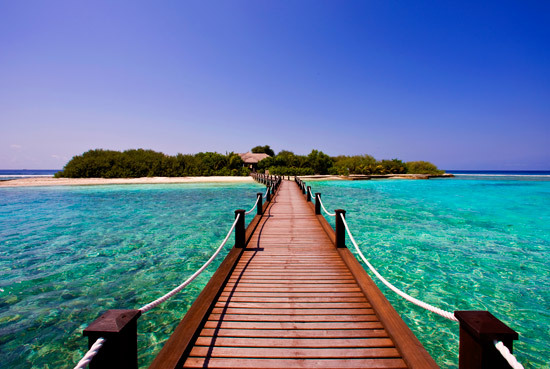 If you wish to explore more of the Maldives, why not sign up for one of the many excursions? 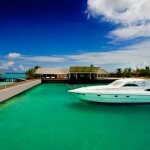 Thrilling boat trips to nearby island and scuba diving trips are available. 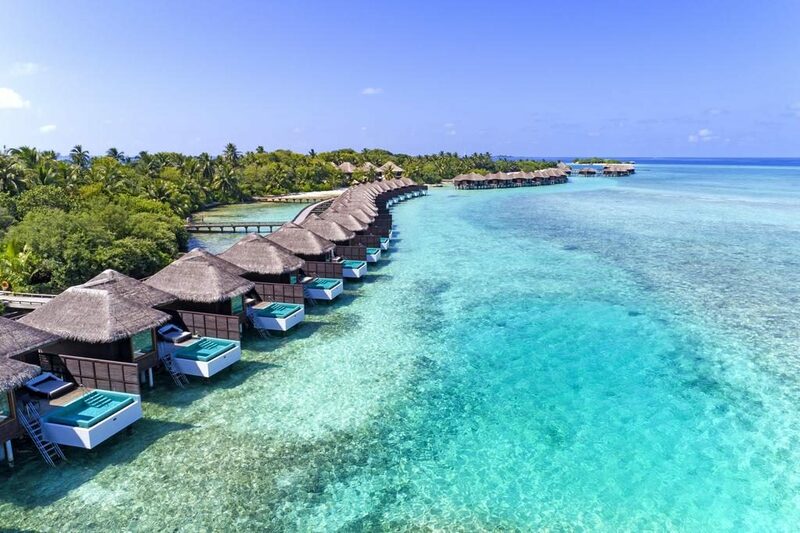 The island is surrounded by some of the most exciting reefs in this part of the world, making any diving occasion here an unforgettable experience. 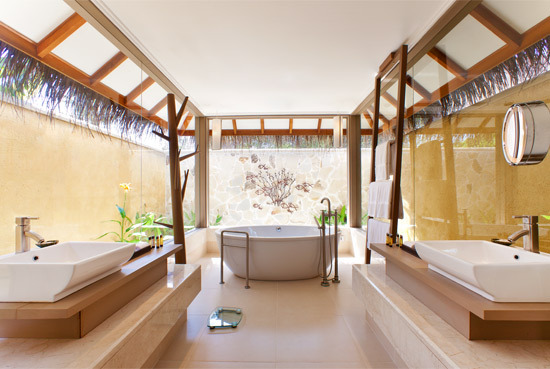 Shine Spa enables you to unwind and be pampered with treatments such as facials, massages and rejuvenating mud wraps. 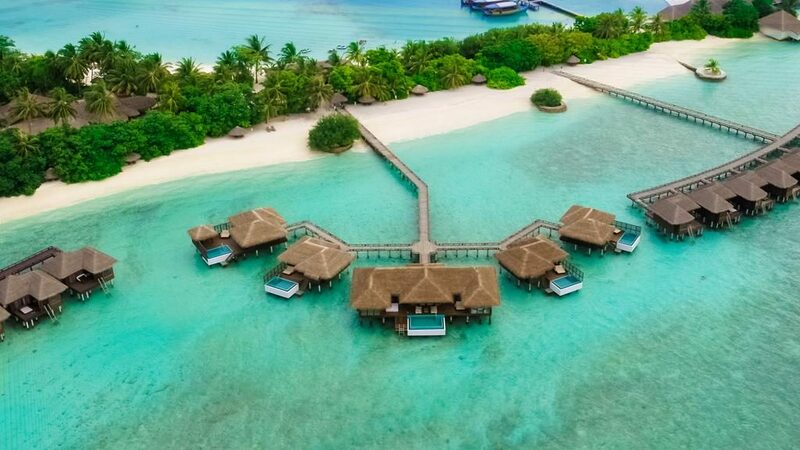 Its secluded location on a separate island makes you forget about all your stresses and merely focus on your own physical and spiritual wellbeing. 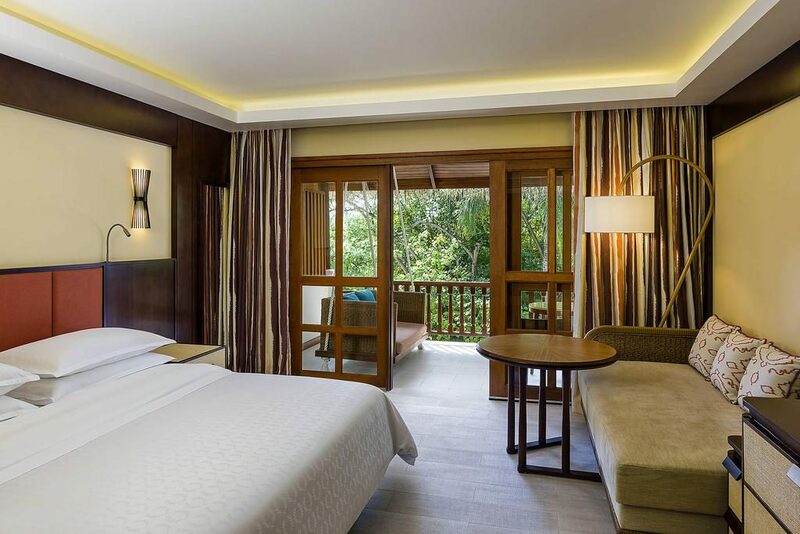 Several exquisite dining options and bars are available at Sheraton Full Moon Resort, making the resort a food lover’s heaven. 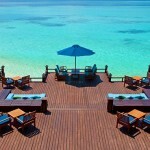 Feast is the main restaurant and offers casual dining. 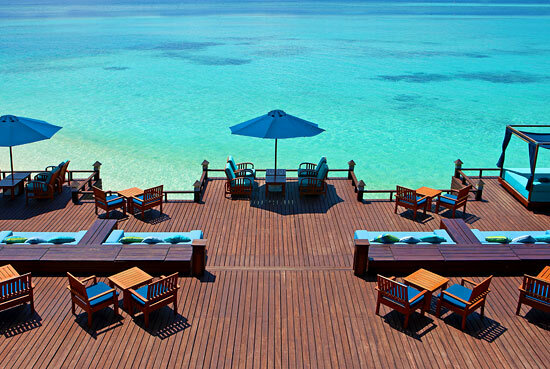 Located on the west side of the island, this restaurant has buffet style meals with dishes from all over the world. 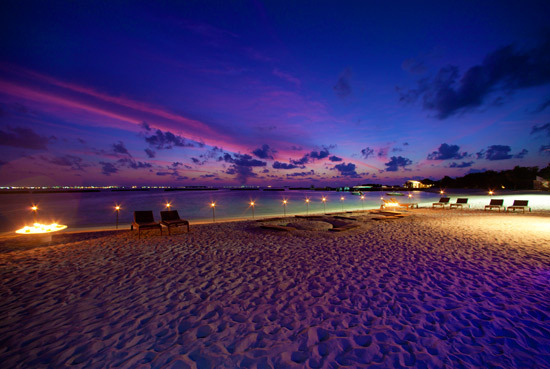 Sand Coast is a bistro style restaurant, serving an array of international cuisine. 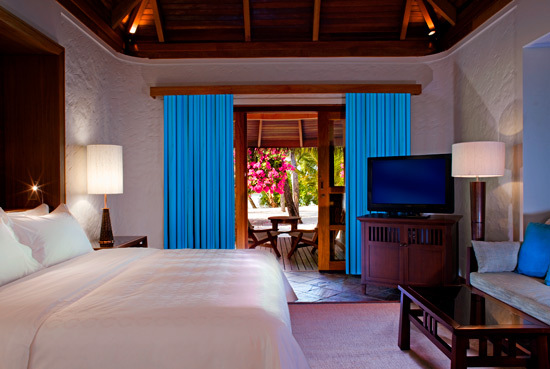 Baan Thai is an exclusive Thai restaurant where you will enjoy some of the best Thai food in Maldives. 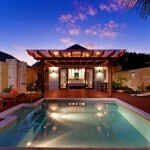 Sea Salt is a laidback, yet elegant, BBQ and seafood restaurant. 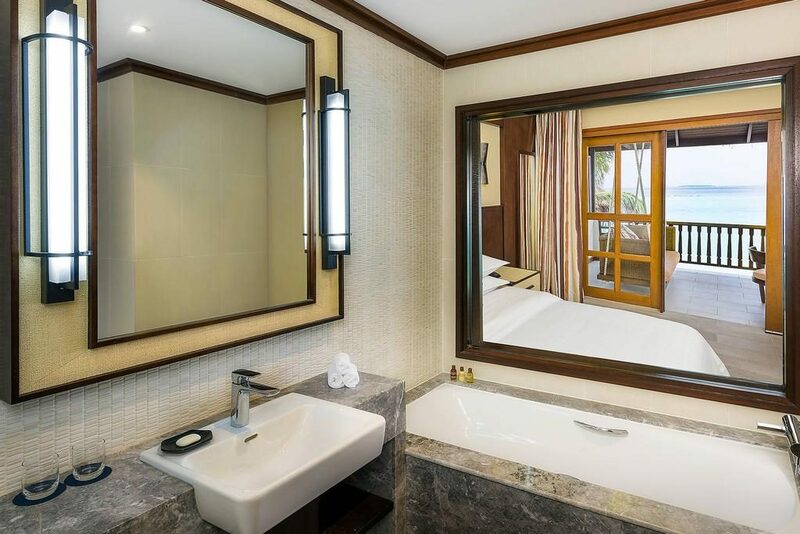 Drifters is the ideal choice when you are craving delicious comfort food – and want to enjoy it in an English pub while watching the latest game. 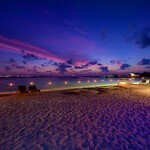 Beach Bar is a modern bar where you will enjoy stunning panoramic views of the island. 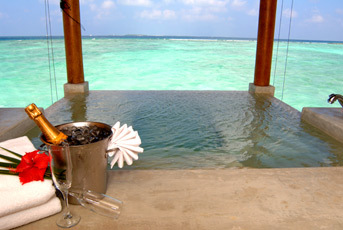 Bury your feet in the soft sand and sip on an exotic cocktail for that irresistible holiday feeling. 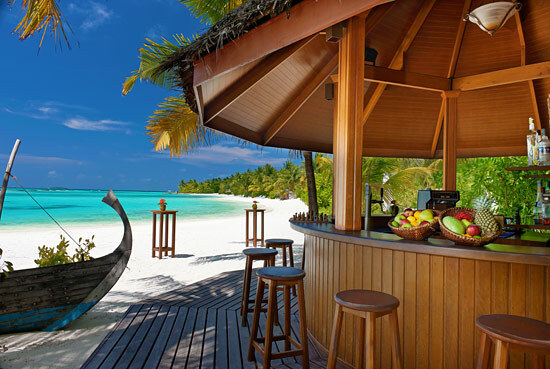 Anchorage Bar offers beverages and mouthwatering snacks throughout the day. 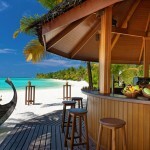 Don’t miss out on the cocktail making class on Sundays! 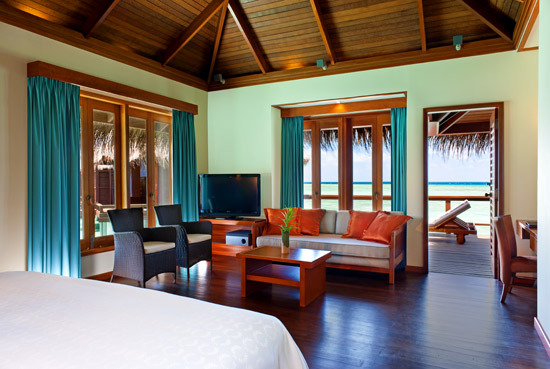 Simply Maldives Holidays offer a Bed and Breakfast option, Half Board Package or a Full Board Package to guests staying at Sheraton Full Moon Resort & Spa.